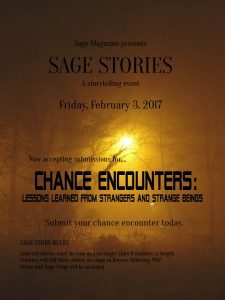 One of our most popular programs, SAGE Stories is a storytelling series hosted by SAGE Magazine once a term. 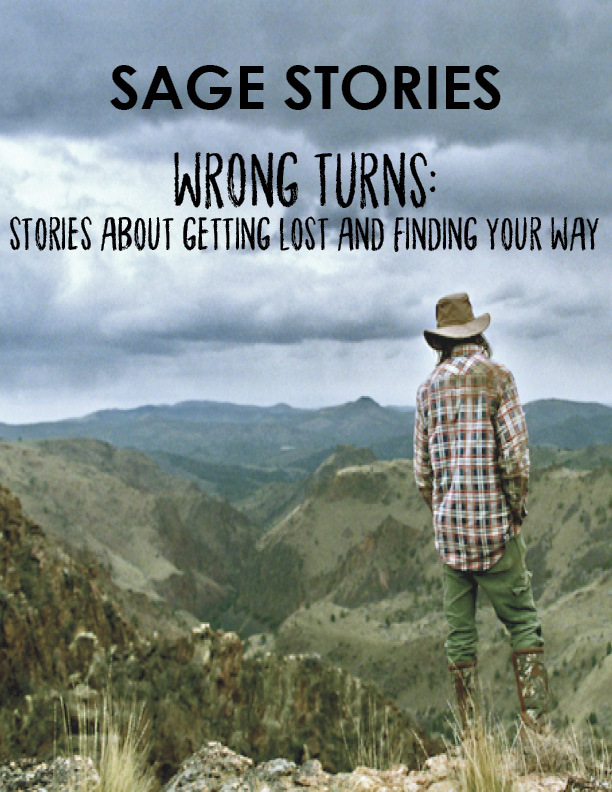 SAGE Stories gives a platform to members of the FES community to listen and be heard, connect with their peers, and share the diverse perspectives and lived experiences that make our school so special. 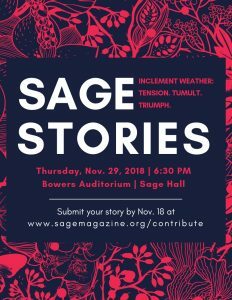 Each term, SAGE Magazine announces the storytelling theme and solicits pitches from FES students, faculty, staff, and friends to share on-stage in front of a captive (and enthusiastic) audience. 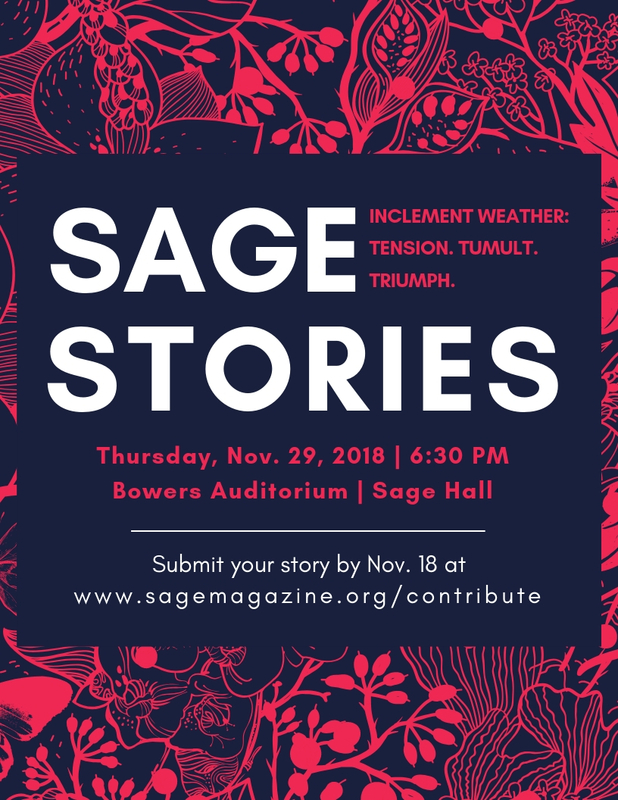 We work with participants to hone and craft their stories in advance of the show, and we encourage them to share their storytelling skills with others. 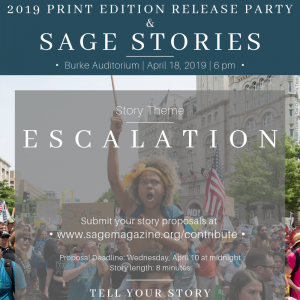 We will announce the date, theme, and submission deadline for SAGE Stories on Discourse, FES Announce, and our social media platforms, so be sure to follow SAGE Magazine on Facebook and Twitter for updates. 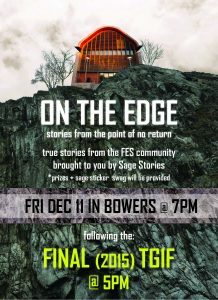 In the meantime, take a look at the themes from the last few years below, and begin thinking about your story today! 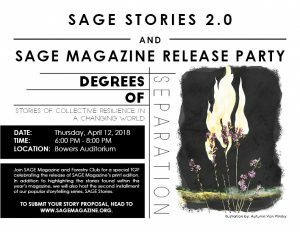 Inclement Weather: Tension. Tumult. Triumph.